Dr Charles Graham, Senior Lecturer in Marketing, was recently hosted by London South Bank alumnus, Bruno Romano, a Research Consultant at the London offices of Landor, a global brand consultancy and a member of WPP, the world’s largest marketing and communications firm. Charles gave a talk to its insight, strategy, client servicing and design teams on the hidden sales importance of ultra-light buyers to the customer base and, ultimately, to brand growth. Since graduating in 2016 with an MSc in International Marketing, Bruno has kept in contact with Charles Graham, Dag Bennett and the late John Scriven, his former marketing lecturers from the Ehrenberg Centre for Research in Marketing at LSBU, to keep abreast of the latest research developments in marketing. But the idea to invite Charles to Landor really came about because he had read his latest research in a chapter he had written in the bestselling book “Eat your Greens” - a collection of essays from industry leaders on evidence-based marketing (APG, 2018) - and attending in January Charles’ latest research seminar on FMCG brands and new category users, through the School of Business ‘Research Today!’ programme. As part of Landor’s weekly “Lunch N Learn” sessions, with industry leaders, Charles spoke how commercial pressures force marketing to take a short-term view of the world; managing performance by quarters, when it really takes many years to build a brand. He gave a very contrarian view to the established segmentation, target and positioning (STP) approach that many marketers still use today, by focusing on heavy buyers and ignoring the importance of ultra-light buyers. Charles argued that even leading CPG brands have many, very occasional buyers. Typically, “your brand is bought by more people than annual penetration figures suggest, and your buyers buy less frequently than you realise”. Ever since Andrew Ehrenberg first published about it in 1959, the importance of light buyers has been known to those who bothered to look. Charles has and from his long-term analysis of panel data he discovered that ultra-light buyers are easily misclassified as non-buyers. However, it turns out to be quite common that more than half of a brand’s customer base buys less often than once a year (i.e. in most years they don’t buy the brand), yet these ultra-lights are collectively valuable. Even for well-known brands they can deliver over 40% of sales. Brands therefore grow not by developing exceptional repeat-buying from existing customers, but mostly by attracting new, but largely very light buyers. Afterwards a lively and enjoyable Q&A session took place, and Charles took many questions from the floor. He later spent time with Nick Cooper, Global Executive Director for Insights and Analytics at Landor, who wanted to learn more about Charles’ thinking in this area and remarked how the work of the late Andrew Ehrenberg is increasingly becoming more mainstream in the world of marketing. Even his clients are talking about it more often and seeking to learn about his cutting-edge research discoveries! According to Bruno, the feedback from his colleagues was very positive and thought provoking. And such was the impact of this special visit that Bruno received an email from Gary Bryant, Strategy Director at Landor, to thank him in bringing Charles to Landor. Gary also remarked that Charles’ talk was hugely insightful and relevant to today’s marketing practitioner. As a result, the strategy team will discuss internally in more detail the content of Charles’ presentation over the coming weeks. 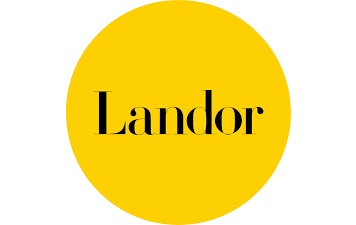 Landor is a global brand consultancy and was founded by Walter Landor in 1941, who pioneered many of the research, design and brand consulting methods that are now standard in the branding industry. Today, Landor has 26 offices in 19 countries, working with a broad spectrum of world-famous brands like Kellogg’s, BP and P&G.